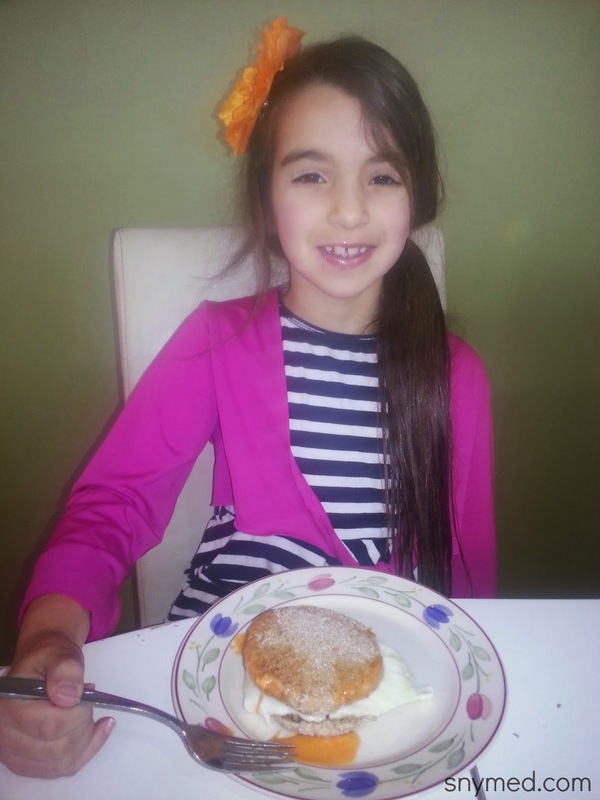 Easy Breakfast Egg 'N' Cheesers Recipe With Dempster's English Muffins! Yesterday morning we were crazy busy getting ready for my son's birthday party. His entire class was invited to the party, and we had been racing against the clock to put the finishing touches on the food, music, decorations and more. My husband and I had been working toward this goal for over one week, and our kids were really looking forward to a nice celebration with some of their classmates! I wanted to give the kids a hot, hearty breakfast today, so I decided to make breakfast "Egg 'n' Cheesers". They are simple to make, and take just minutes. 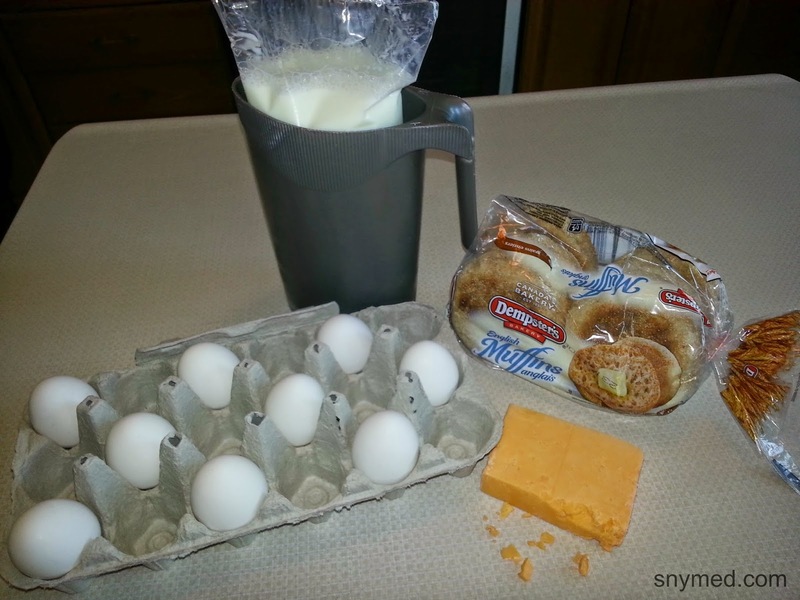 Easy Breakfast Egg 'N' Cheesers Recipe! 1.Cut in half and toast one Dempster's English Muffin for every person eating breakfast. 2.Make one soft-boiled egg for each person (I made sunny side up in this recipe, but you can do regular soft-boiled, over-easy, etc). 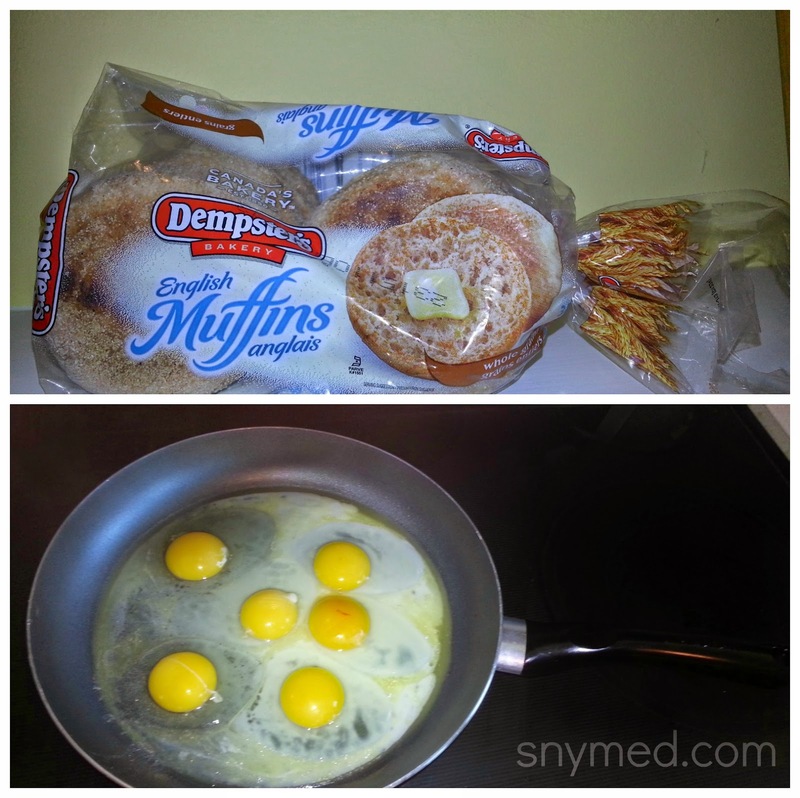 4.Add one egg serving on the bottom, plain half of the Dempster's English Muffin. 5.Put the melted cheese half on top of the egg side of the Dempster's English Muffin. Enjoy! What's your favourite fast and hearty go-to breakfast recipe? How do you enjoy eating English Muffins (ie: with eggs, cheese, peanut butter, cream cheese, etc)? Ok, toasting of the cheese is brilliant! Why I never thought of that I do not know. So much more yummier. I love eggs AND muffins, in fact that was my breakfast this morning. Thanks for another new way to enjoy these!! Super easy and a great protein filled breakfast to start the day!! What a good breakfast! I love those quick and easy meals. That looks like a keeper. I love to come across breakfast recipes. Breakfast food is my favorite!! Oh that will definitely get the kids til lunch time! :) I love putting eggs and cheese on english muffins. So good and easy! A much healthier version of an Egg McMuffin! These are really easy to make from the way you describe it--may try this one weekend. i LOVE english muffins and am always looking for good recipes! thanks, can't wait to give it a try! That looks really good.. I never heard of this before, but it looks fun and tasty! That is one delicious breakfast. way better that egg muffin in mickyds. My son absolutely loves cheese melted on dempsters english muffins. I love how simple the breakfast idea is! Eggs and an english muffin sounds delicious right now! Especially since I missed breakfast this morning!! That's a good looking breakfast for sure. Yummy, yummy, yummy! I love breakfast sandwiches, we just don't eat them very often because store bought bagels and english are usually full of chemicals, white flour, and sugar that we try not to eat. This looks good though. These are one of my kids' favorite breakfast foods. They are easy to make and very filling. We will have to try these muffins. Thanks. I just had a crazy morning today and I was late from work and everything! I could have SO used these! So simple and so hungry! I might have to make this for lunch today. I need to switch up the usual ham sandwich. Thank you! Yum! One of my favorite breakfasts! Mmmm looks delicious. I usually just butter my english muffin and add eggs and sausage pattie on top. Such a good healthy breakfast. Nothing like a little egg and cheese.